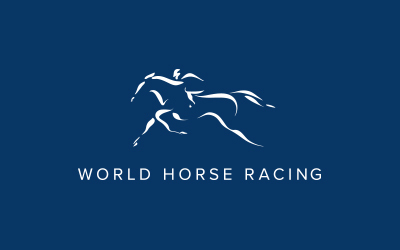 Nominations are set to close at 12 noon on Monday 21 January 2019 for Victoria’s feature autumn races – the Group 1 Australian Guineas (1600m), the Group 1 Seppelt Newmarket Handicap (1200m) and the Group 1 TAB Australian Cup (2000m). Flemington will host the $1 million Australian Guineas on Australian Guineas Day, Saturday 2 March 2019 while Super Saturday will see the running of the $1.25 million Seppelt Newmarket Handicap and $1.5 million TAB Australian Cup on Saturday 9 March 2019. 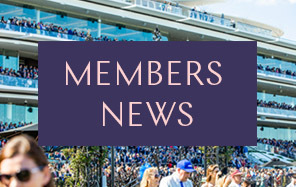 Victoria Racing Club (VRC) Executive General Manager – Racing, Leigh Jordon said racing during the month of March at Flemington was the best time of year for the sport in Victoria, outside of the spring carnival. “Australian Guineas Day, Super Saturday and The All-Star Mile Raceday offer racegoers the chance to see some of the best horses in the country compete under beautiful sunny skies, all while experiencing Flemington’s top-class facilities. “With over $11 million in prizemoney on offer during the month of March at Flemington, we expect quality fields to assemble and highly competitive racing,” Mr Jordon said. The three-year-olds will have their chance to join an illustrious honour roll in the Australian Guineas that includes subsequent champion sires Zabeel, Flying Spur and Pins. A host of nominations have already been taken from Victoria, New South Wales, South Australia and Tasmania. Australia’s proven short-course horses will clash with rising stars of the sprinting ranks in the Seppelt Newmarket Handicap. The six-furlong dash is one of the most anticipated sprint races all year and last year saw a converging of some of the nation’s best, including Redkirk Warrior and Merchant Navy, with the race also a springboard for their respective international campaigns. This year has already seen a strong set of nominations, particularly from Australia’s leading trainer Darren Weir. Group 1 winners Voodoo Lad and Brave Smash spearhead Weir’s assault on the Seppet Newmarket Handicap, with the stable’s army including Flemington straight track specialists Nature Strip and Whispering Brook. The TAB Australian Cup attracts some of the country’s most prominent gallopers, with Harlem upsetting a star field last year that included genuine Group 1 performers in Gailo Chop, Homesman, Hartnell and Almandin. Nominations for the $1.5 million event include AAMI Victoria Derby winner Extra Brut alongside stablemates from the Darren Weir stable, Night’s Watch and Ringerdingding. The full list of nominations for the Australian Guineas, Seppelt Newmarket Handicap and TAB Australian Cup will be released after nominations close on midday, Monday 21 January 2019. Australian Guineas Day and Super Saturday precede The All-Star Mile Raceday on Saturday 16 March, making it a stellar month of racing to look forward to at Australia’s premier racecourse.